After years of friendship and months of preparation, Darius Rucker and Lady Antebellum launched their co-headlining Summer Plays On Tour to a deafening welcome in Toronto, Ont. (7/19) and Cuyahoga Falls, Ohio (7/20) this past weekend. With what The Plain Dealer called "one of the biggest mainstream country pairings of the summer," Cleveland Country Magazine noted that it is "hard to imagine who's having more fun at the show -- the fans or the acts on stage" with a playlist-worthy set spanning over 20 No. 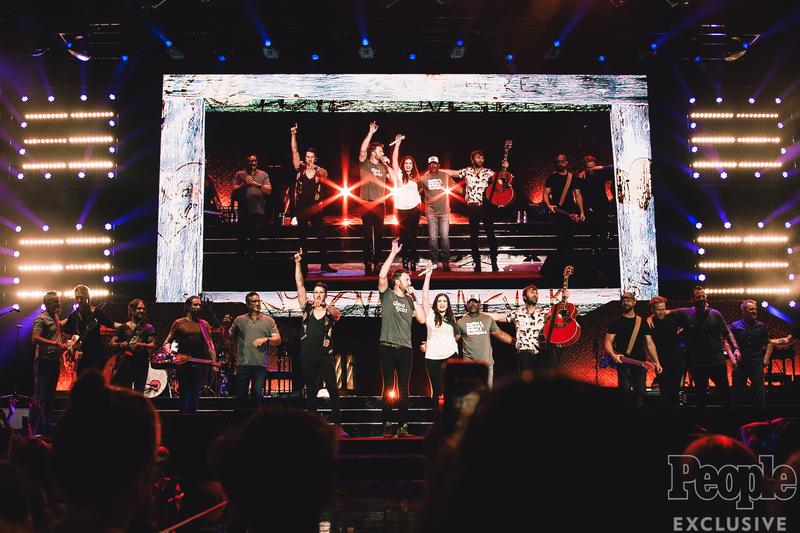 1 hits between the two.Today, PEOPLE.com shares an exclusive behind the scenes photo gallery highlighting Darius and Lady A's opening weekend as the run continues thrilling audiences across the U.S. all summer long. For a behind-the-scenes look at the launch of the Summer Plays On Tour exclusively through PEOPLE.com, click HERE. After wrapping the first two nights of the Summer Plays On Tour, Darius and Lady A temporarily parted ways as the trio headlined the Darien Lake Amphitheater in Darien Center, N.Y. (7/21). Meanwhile, Darius reunited with his Hootie & the Blowfish bandmates for a one-night only performance in Atlanta, Ga.